This is Mike Winger, you wrote a blog to refute my assessment of Catholic doctrine by demonstrating significant ways in which I misrepresented Roman Catholic teaching. The important thing was that, in order to refute my conclusions, you were trying to show that I had so misrepresented Roman Catholic Theology as to make my points invalid. This means that you didn’t challenge my reasoning but my premises regarding what the Roman Catholic Church teaches in the first place. If you were right then my whole video was a straw man. If you were wrong then my video is a real challenge to Catholic teachings and even more so with a failed attempt to refute it. I am going to include your time references so that a point by point response can be seen. 1:25 - Though you and I agree that sacraments are a means of grace you don’t think that this means grace is earned through sacraments. Here is what the council of Trent says, which supports my claims. 2:12 - There is no significant difference between certain forms of indulgences and certain abuses of indulgences. This is merely where you want to find something to disagree with. Abuses of indulgences (like those preceding the reformation) are also certain forms of indulgences. 2:40 - Indulgences are essential to Catholicism because every time a person goes to confession they are obtaining indulgences. This is supremely important in the theology of Roman Catholicism. Confession, the Eucharist and penance are all to obtain indulgences. May I note, that even if I were wrong in this issue it has little to do with my actual point in the video. Most of your criticisms are irrelevant to the point being made and don’t even try to refute the conclusions about Catholicism. It’s like I’m trying to address the significant and you are responding by drowning me in the insignificant. 3:58 - This is just semantics. Jesus isn’t enough because you have to add works. But you claim that grace is given through the sacraments. That isn’t grace. That is merit. That is works. Roman Catholic teaching says that we need works to earn grace. But this is a redefinition of grace to mean something other than grace. This is why Romans 11:6 and Ephesians 2:8-9 are in the scripture. Those passages refute the idea that we can mix grace and works and pretend it is still grace. "It is given as a reward, promised by God Himself to be faithfully given to their good works and merits. By those very works which have been done in God, fully satisfied the divine law according to the state of this life and to have truly merited eternal life." Romans 11:6 (NKJV) 6And if by grace, then it is no longer of works; otherwise grace is no longer grace. But if it is of works, it is no longer grace; otherwise work is no longer work. Ephesians 2:8–10 (NKJV) 8For by grace you have been saved through faith, and that not of yourselves; it is the gift of God, 9not of works, lest anyone should boast. 10For we are His workmanship, created in Christ Jesus for good works, which God prepared beforehand that we should walk in them. 4:08 - True. I misspoke. I completely receive this correction and I am sorry for misrepresenting Roman Catholic theology in that way. I don’t want to minimize this but I don’t think it offers a substantive refutation of my conclusions because you would have to agree that Roman Catholic teaching treats baptism as a work towards meriting eternal life. 4:30 - So to be clear, baptism removes original sin from all who are baptized, removes all sins from those who are older and are truly sorry for them at time of baptism but doesn’t guarantee against the person having fresh guilt because of future venial sins or even from losing the grace of salvation from committing mortal sins. I will be more clear in the future and I appreciate the more detailed understanding. I have only read material about it in the context of infant baptism which lead me to conclude that it only removed original sin. So, what I was wrong about is that if an adult gets baptized he has a clean slate but what I was right about is that baptism is required but not sufficient for salvation in Roman Catholic teaching. That is, the meat of my point is still valid. 5:09 - You have missed my point here. The point is that they have a different view of being born again than the biblical one that I described in the video. We see being born again as resulting in a change of the whole man and the indwelling of the Holy Spirit which causes a real and noticeable change in the character of the individual. Your definition of “born again” can be stated in romantic terminology but it seems to amount to no more than a change of status. 7:29 - I agree that the whole doctrine isn’t built on that one phrase. Catholic theologians attempt to use that passage to justify infant baptism and this is one example of the very weak case for it in the New Testament. 10:03 - I don’t actually see you disagreeing with me here. It is just a relatively empty claim that even though you go to men to mediate between you and God you are still somehow going to Jesus. That is just a rhetorical way of ignoring the fact that the Catholic church is chock full of mediators between people and Jesus. 10:47-If by this you mean “some people are saints even though the church hasn’t canonized them and their works are also part of the treasury of merit” then I think this is a nit-picky point that does nothing to challenge the claims I have made about the problems with the way the Roman Catholic Church pretends to dole out grace piecemeal and without biblical support. 10:59 - I’m not sure of the relevance of this or what correction is in it for me. confession, the most commonly cited motive would be “to heal the negative effects that our sin has upon our neighbor and the Body of Christ”? This is just a baseless romanticizing of Roman teaching. I see this a lot and I think that it represents an insincerity in commitment to one’s own beliefs. Why not shamelessly admit what is obviously the case, Catholics do penance to remove the guilt of sin over and over and over again. 12:25 Unimportant minutiae that, like most of what you wrote, doesn’t even begin to correct my conclusions about the falseness of certain Roman Catholic doctrine. 16:27 - Potato potahto. Christ’s sacrifice appeases the wrath of God. We both believe this. You just think this is somehow accomplished through Mass. More nitpicky criticisms over words that end up meaning the same thing either way and have nothing to do with addressing my point. 18:33 - More romantic words. Again, there is no substantive difference between what you are saying and what I have claimed. You aren’t telling me that Mass doesn’t give fresh grace to the person each time they partake, you are just wanting to use pretty words to describe it. You still think Mass is a means of grace which is much more than calling it an act of worship. You still think it is only received through the priesthood and that is much more than “daily bread” (which passage is talking about actual food). 24:57 - Your understanding is even more strict that I described. This only underscores my point further. 27:46 - Tomato tomahto. This is another case of just wanting me to say the same thing with romantic flare. The more romantic your words the less they mean. “sinners are always in need of the grace of God”. It would seem we could agree on this but we can’t, because we wouldn’t mean the same thing by it. I think I always need the grace of God but that I constantly have it because Jesus ever lives to intercede for me. You think we always need God’s grace because we can sin and lose the grace of salvation and need to be forgiven anew or because we will suffer in purgatory if we don’t get that grace again and again and again and again. Your romantic words serve to confuse and obfuscate rather than to clarify. Personally, I find that sort of thing deceitful. 28:00 - More romance. 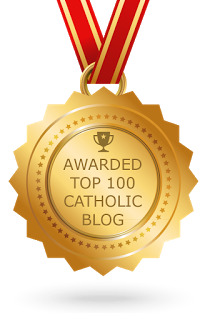 Your altruistic representation of Catholicism is not the experience of your average Catholic. Though they might like to think it. Also, I don’t think the average Catholic is fearful of hell nearly as much as they are of purgatory, not that this has anything to do with my point in the video. 30:06 - You don’t want to say that sin still needs to be paid for again but I use the term because of the idea of meriting (earning, working for) grace through things like Mass. You use those passages to say exactly the thing they are against. A simple reading of the context would show that they don’t teach Mass. If you only had the Bible you would never come up with the peculiar theology of the modern Roman Catholic Church. 31:46 - If I were to say “representing payment over and over again” would you object? It’s more of Jesus flesh and blood to cover new sins that were not forgiven until the Eucharist was completed again. In any case it is true that if this payment isn’t made again and again in mass then I can’t be saved even if I had truly and rightly received it in the past. At least that’s old Catholic theology, it seems that universalism is on it’s way in the RCC. 32:01 - More romanticizing about the motives of Catholics. I don’t see any substantive argument that somehow challenges my point here. You would probably agree that they get freshly cleansed and that it’s necessary, and even though these are accurate descriptions you would like to use more flowery words that de-emphasize the doctrinal claims and focus on the generic “glory to God”. But, if Mass is not a biblical thing then it isn’t really to God’s glory. 32:40 - The earliest time confirmation is offered to a person is when they are of age to reason. This is typically when it is done and it does signify a coming of age. That is not to say it is the ONLY element of confirmation but it’s not inaccurate to say that the majority of people who do so do so when they come of age. At any rate, we still haven’t touched a substantive point in that this doesn’t prove wrong my conclusions about Catholic theology being wrong. Not that all of it is wrong just that it has some important false theology. I hope you take the time to consider my other 3 videos in the series because in them I dealt in much greater detail with the real meat of the issues. 33:05 - Again, this is semantics. 35:00 - PLEASE watch videos 2 and 3 in my series. It is a fairy tale to think that the RCC hasn’t had an evolving theology for the past 1700 years. 37:52 - This is a whole can of worms. 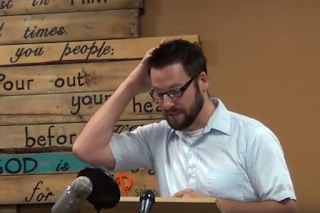 I hope you would check out my video response to Francis’ “prayer request” for January 2016. If nothing else, time will tell that this pope is ecumenical in a way that is an abandonment and distortion of previous Roman Catholic theology. 41:23 - Fair enough, but I would challenge any passage you try to use to teach that purgatory exists. You don’t get this except from some extreme hermeneutical gymnastics. 1 Cor 3 is a passage I imagine you would use and I tackled that head on. Your defense of purgatory in response to my video is “one of those passages doesn’t teach purgatory”. We agree on that. In fact, I think that no passage teaches it. Please note that even if true, your complaint does nothing to diminish my conclusion that purgatory is unbiblical, you merely agree that Ephesians 5:26 doesn’t teach it. 53:36 - You say you’ve never heard of this prayer but I don’t hear you saying that you disagree with it’s content. That is significant in and of itself. It is the observation of anyone who pays attention to Catholic practices. Mary is seen as “the safest way to approach Jesus”. To the Catholic it is like Mary is going to exert influence over Jesus because Jesus can’t say no to His mother. Notice that you ignore the substantive arguments I give against prayer to Mary. 1- that she would need to have some kind of powers like God in order to hear everyone praying to her all over the world at the same time. 2- that there are prayers exampled from Genesis to Revelation and NONE of them are given toward someone other than God. 3- that any attempt to contact the dead is forbidden. 54:58 - Then why use the image? If the image doesn’t somehow convey prayers to the saint. No cult thought the idol was the god but associated the idol with the thing it represented in the same way Catholics are taught to by the RCC. 55:38 - I covered this in the video. Your claim is empty because it is denied by your practices. It is just a rewording of things to escape an obvious conclusion. It’s merely a practicing of idolatry while saying, “don’t worry, it’s not idolatry”. 46While He was still talking to the multitudes, behold, His mother and brothers stood outside, seeking to speak with Him. 55Is this not the carpenter’s son? Is not His mother called Mary? And His brothers James, Joses, Simon, and Judas? 3Is this not the carpenter, the Son of Mary, and brother of James, Joses, Judas, and Simon? And are not His sisters here with us?” So they were offended at Him. 19Then His mother and brothers came to Him, and could not approach Him because of the crowd. 14These all continued with one accord in prayer and supplication, with the women and Mary the mother of Jesus, and with His brothers. The context pushes us to seeing adelphos as Jesus sharing a mother with these brothers and sisters. This is a whole debate in and of itself but I think you simply demonstrate the willingness to receive any interpretation, no matter how unlikely, as long as it supports RC teaching. The priority is on the church, not on the truth of the Bible. 1:00:58 - Empty claims contradicted by the doctrines and practices in the Catholic church. You merely attacked side issues and played semantics instead of tackling the substance of my concerns. You didn’t defend Catholic teaching or claims. You didn’t refute the meat of my points. You didn’t even offer one significant refutation that would detract from the conclusion that the RCC has a false claim to authority and has piled up many doctrines which are unsupported by the Bible and amount to a gospel of works + grace which is contradicted by scripture. I sincerely hope that you will consider these things and while I disagree with you it is not with any animosity. I appreciate you taking the time you did on this but the consequences of being wrong on these issues is too big to ignore. I would appreciate a response to my comments. I have no animosity or bitterness toward you at all, I just want to seek truth on these issues and I think that the things you wrote hurt that agenda. I spent a great deal of time and energy trying to accurately understand and present information that is relevant to the truthfulness of Roman claims. I could have used spurious info or gone for days talking about Catholic endorsed violence, persecutions, papal orgies, Babylonian and pagan practices, etc etc. Why didn't I do this? Because I don't want to deal with secondary or spurious issues and I don't want to do what I have seen some people do when they miss the target by attacking things that don't really represent Catholicism. I took the time to respond to your blog and I appreciate that you have left my comments available to others. However, I would appreciate a response to what I have said about your blog. 1. The preamble informs us that it was not the intention of the blogger to refute your point, only to address some innacuracies regarding your conception of RC teachings. 2. Your intellectual approach to biblical Christianity is quite remarkable, much like a lawyer's approach to the law. However, not all lawyers have the best intentions. Those that do, have opened their hearts so that they may read between the lines to know what is good. I pray you are like one of these. We live in a time when many men want to hold authority and power for their own selfish purposes. If only they could hear what God truly has to say. I'm sorry I never got around to responding to your comments. At first I tried to do a point-by-point rebuttal, but it was taking way too long. It was taking me 4-6 paragraphs to respond to every 1 of yours, and you gave me a ton to work with. Then I thought, "Well, I'll just respond generally to the gist of what he was saying." But, after many attempts, I was never really satisfied with that approach either. In the end, I resigned to just let your comments stand and let the reader decide. Maybe at some point I'll return to this again. I understand not having time to continue a debate indefinitely. Especially giving that the nature of this sort of thing is that each time new response is given it must be longer than the previous one in order to address what was just said. I appreciate you leaving my comments up for people to consider.